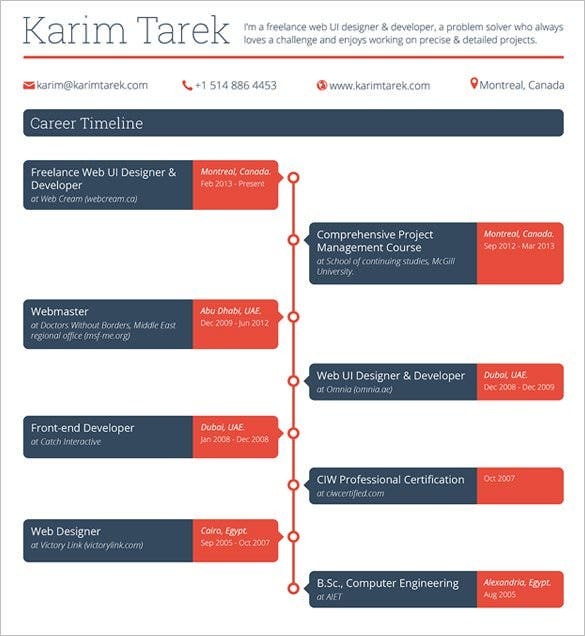 You need a career timeline template if you have the plan of switching between careers after a given period. Most people who are in their jobs today have actually been through job transitions, and it is highly unlikely that they will stick there forever. 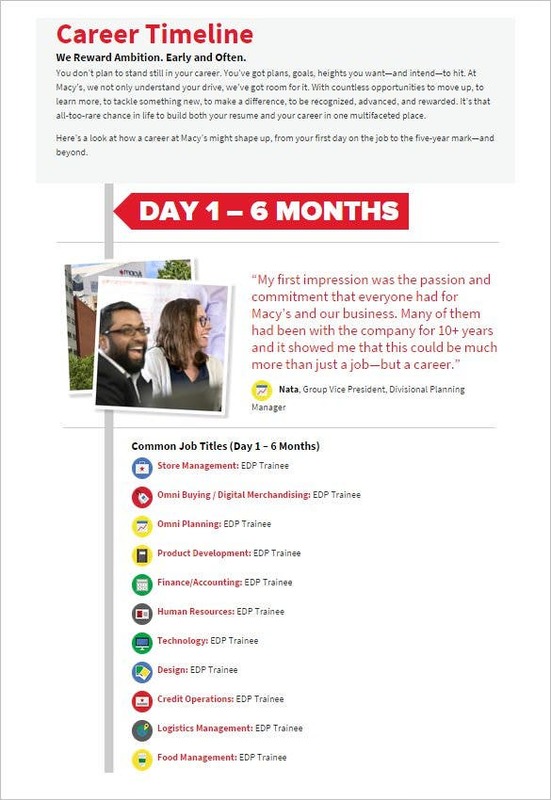 With the free sample career timeline template, you can keep records of how many jobs you would like to do and for whom you would like to work and for how long. 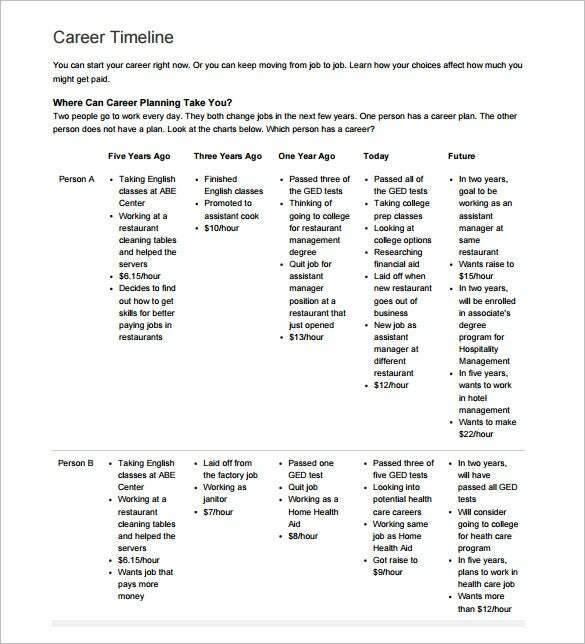 This Microsoft PPT career timeline template will allow you to demonstrate your entire span of career from start till the present day. The timeline bar is in the middle and the events are placed above & below it. 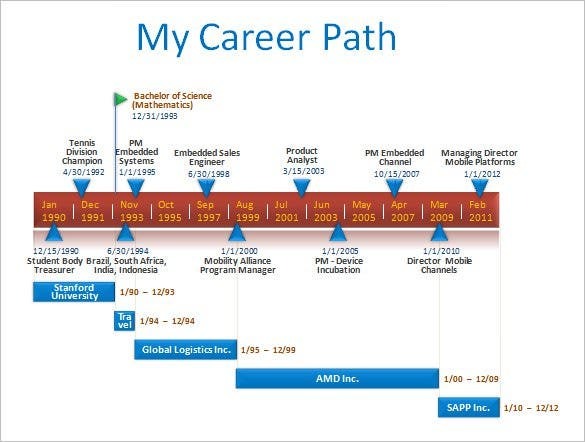 This career timeline would be great for you if you have worked in a wide number of companies and designations over the years. It starts from the bottom right of the page and concludes with your present professional status on top left. 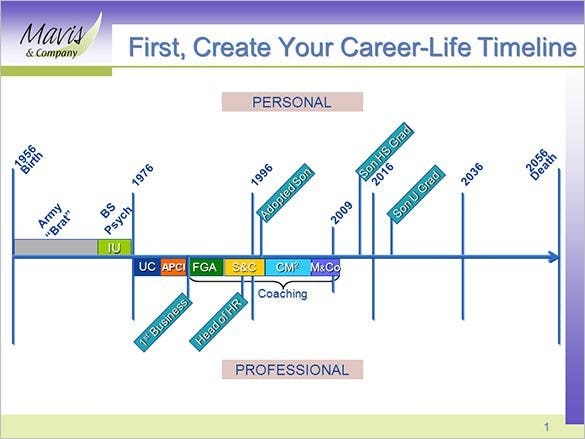 aiaa.org | This is an interesting professional career timeline template where you have pictures to do the talking. Rather than textual information you add expressive images here that will state the different turns throughout your career. 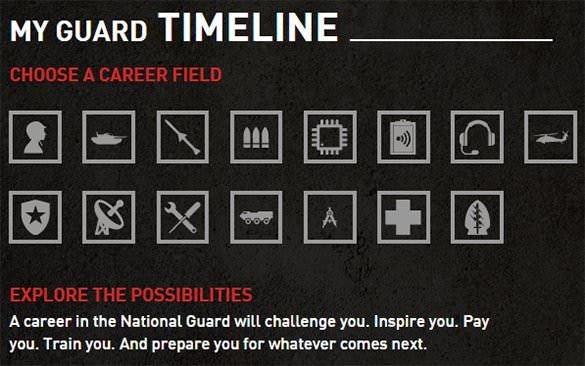 This guard timeline template starts with various career opportunities waiting for you as National Guard. 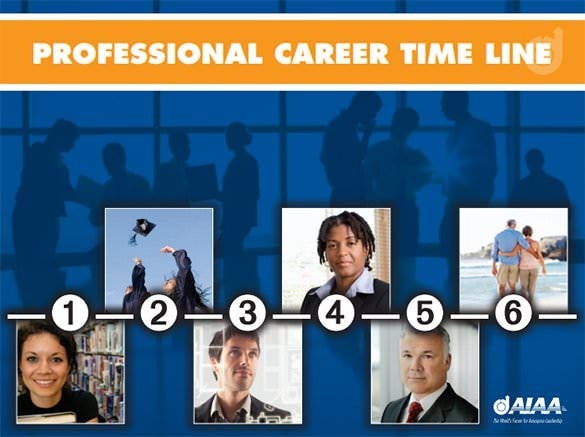 The varied career options are presented in the form of graphical icons for a clearer understanding. 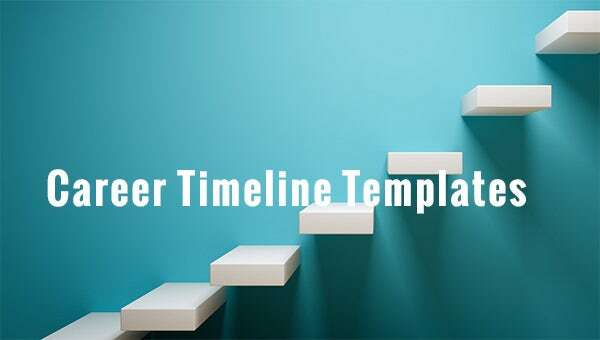 Example of the best timeline template format download to use is Word or Excel. Other formats like PDF and PowerPoint files are also good, although word and excel tend to be the most popular ones.